So you’ve trained for months (or years! ), chosen the race, booked your flights and bike box and now you’re looking for an all inclusive insurance to cover you for all eventualities. 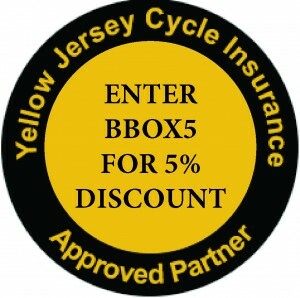 We’ve spent a long time looking for a suitable insurance provider to recommend to our customers and finally we’ve partnered with Yellow Jersey. 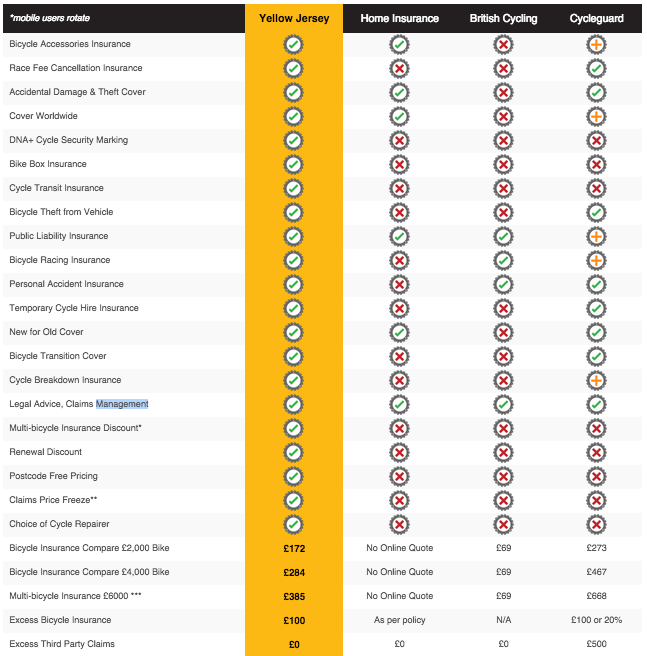 As cyclists themselves, Yellow Jersey spent a lot of time understanding the best approach to cycle insurance. They decided to create a totally inclusive package. We know its difficult making the compromise between cover for price when you are insuring your prized possession. But Yellow Jersey have not compromised on any element. Having looked at home insurance, British Cycling insurance and other stand-alone cycle insurance providers we believe they have come up with something unique. No matter if its racing your road bike, taking part in sportives or enjoying a club run, Yellow Jersey understand we all ride our bikes for different reasons. 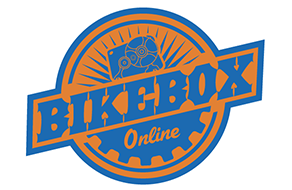 Bike values are on the increase and if your concern is the safety of your bike away from the home when you travel to a race, crash damage during a race or simply making sure you have adequate cover for an expensive fleet of bikes at home, you’re covered! Get an instant quote here. Yellow Jersey are the insurers for Team Wiggins, Sponsors of Laura Trott, Matrix Pro Cycling, the London Triathlon League, the London & SE Cyclo-Cross League, Surrey Road Racing League and are the official insurance partners of British Triathlon.